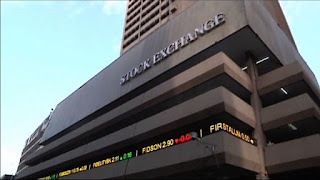 The Nigerian Stock Exchange (“The Exchange”) services the largest economy in Africa, and is championing the development of Africa’s financial markets. The Exchange offers listing and trading services, licensing services, market data solutions, ancillary technology services, and more. The Exchange continues to evolve to meet the needs of its valued customers, and to achieve the highest level of competitiveness. It is an open, professional and vibrant Exchange, connecting Nigeria, Africa and the world.